ExploreVM Blog: Nutanix Sofware on HPE ProLiant & New Pricing Models: Nutanix Go! Nutanix Sofware on HPE ProLiant & New Pricing Models: Nutanix Go! Today Nutanix announced that they will support Nutanix Software running on select models of HPE ProLiant hardware. Nutanix claims that this is part of their mission to "Set customers free from their silos of IT so that they can focus on the apps and services that power the business.". This announcement is similarly in line with last August's announcement of Nutanix on Cisco UCS. This will not be an OEM offering, rather what Nutanix is calling a "Meet-In-The-Channel" solution. Interested customers will purchase the Nutanix software from a channel partner, and the hardware from an authorized re-seller or HPE directly. Either the re-seller or the channel partner will integrate the two for the end customer. Currently under final testing, Nutanix anticipates that the solution will be production ready by the start of the 4th quarter, 2017. They also said should testing go well, it may be available sooner. Bundling will be done in the same manner as the Nutanix/Cisco UCS release, with support and software subscription included. The pricing will be on a per node basis for a fixed term of 1, 3, or 5 years. This, they feel, will provide a complete solution. 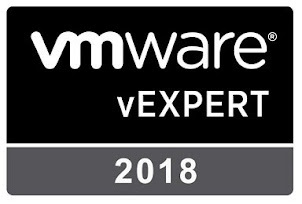 Acropolis Pro and Ultimate Editions are the first Nutanix Hypervisors to be certified on the HPE platform, as Nutanix wanted to offer the most feature rich editions to HPE's global customer reach. Support for this solution will be handled the same as the UCS Nutanix deployments. 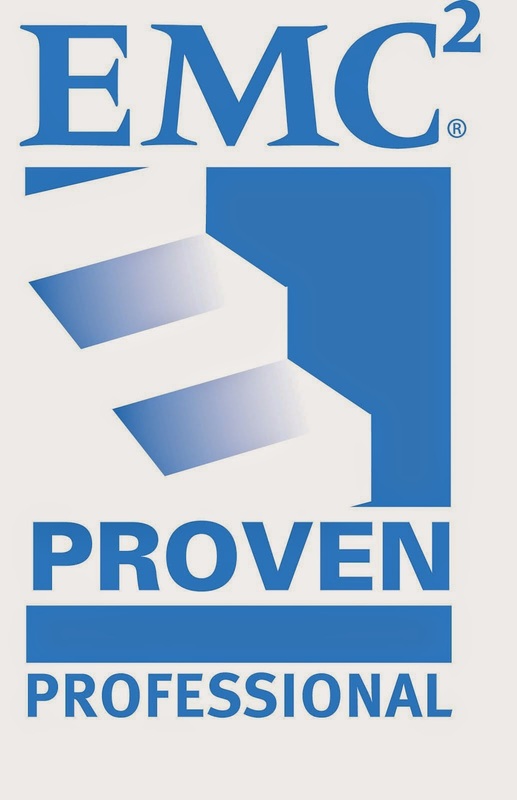 If there is a hardware issue, the customer contacts HPE. If there's a software issue, call Nutanix, and when in doubt, call Nutanix. Both Nutanix and HPE are members of the Technical Support Alliance Network (TSANet), so support hand-off between vendors should be seamless. At this time, Nutanix will not support mixed clusters of Cisco UCS & HPE ProLiant. 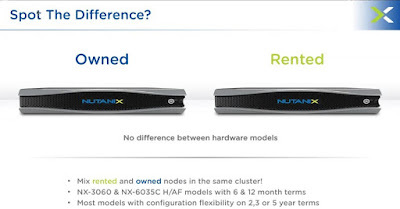 Being touted as a pay as you go offering for the on premises cloud, Nutanix also announced their Go pricing model.This model, which is immediately available in the United States, allows customers to rent Nutanix branded NX hardware for terms as short as 6 months, and as long as 5 years, with varying renewal offerings in between. 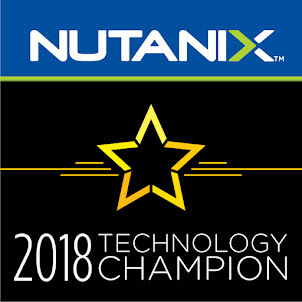 Customers will have the capability to scale up their solution during the term length, and return the hardware at the end in Nutanix supplied shipping materials. Similar to cloud, this allows customers to scale their physical infrastructure up and down as demand dictates. Nutanix claims that this pricing model helps to reduce some of the risk of projects, especially if the full scale of the project is not known at the start, or if the project viability is in question. They anticipate a quicker return on investment for a smaller sum of money for a shorter period of time versus a large, up front purchase. Customers can reach out to their preferred Nutanix channel partner for further information, or to get set up on the Go pricing model. All billing after the fact is handled by Nutanix directly. Much like many other solutions, longer term agreements will yield better pricing versus short term contracts. The Go model is priced with a single SKU which includes hardware, software, support, and entitlements. The model is priced per block per term.